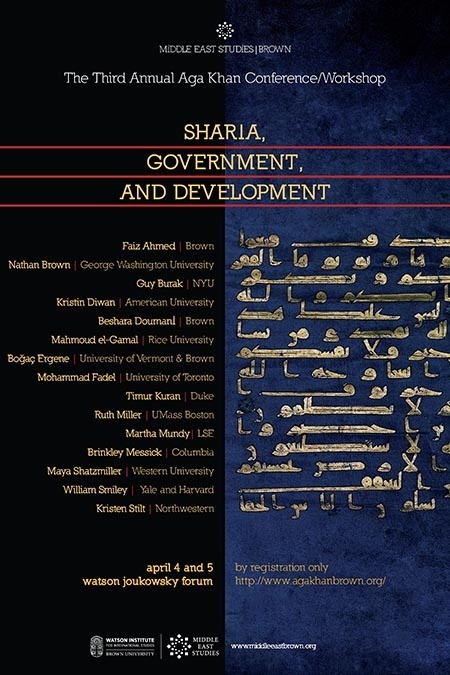 This event brings together renowned scholars from multiple fields in order to explore the relationships between Islamic law, governance, and socioeconomic development in various early-modern and modern settings. Bogac Ergene received his Ph.D. degree from the Ohio State University in 2001. Currently, he is Associate Professor of History at University of Vermont. Professor Ergene is the author of Local Court, Provincial Society and Justice in the Ottoman Empire: Legal Practice and Dispute Resolution in Ã‡ankÄ±rÄ± and Kastamonu (1652-1744) (Boston and Leiden: Brill, 2003) and editor of Judicial Practice: Institutions and Agents in the Islamic World (Leiden and Boston: Brill, 2009). In addition, he published articles in major history, law, and economic history journals, including International Journal of Middle East Studies, Journal of Economic History, Journal of Family History, Journal of Interdisciplinary History, Law and Social Inquiry, Islamic Law and Society, and Continuity and Change. He is the co-editor of the Ottoman Empire and Its Heritage, a Brill Publishers book-series on Ottoman and Turkish History. Ergene’s research has received support in the past from many institutions including the American Council of Learned Societies, Social Sciences Research Council, and American Research Institute in Turkey. Currently, he is working on his monograph, provisionally entitled, Class, Court and Justice in the Ottoman Empire.